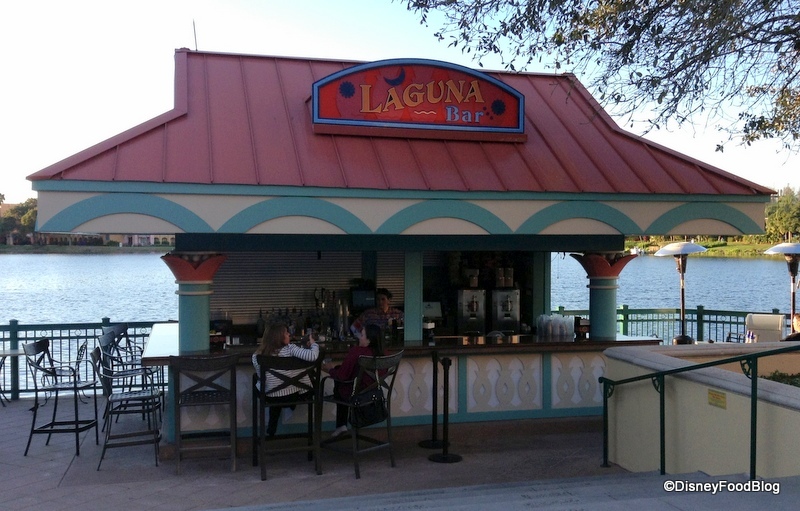 Laguna Bar is a great place for Coronado Springs conventioneers and resort guests alike to pull up a chair after a long day and enjoy a specialty margarita, sangria, or Corona beer. With a selection of eats along with their menu of Mexican-inspired drinks, we recommend you stop here just for the great view, if nothing else! Full bar, including Disney’s standard cocktail menu; domestic and import draft and bottled beer; non-alcoholic drinks, plus cold sandwiches, hot dogs, chicken Caesar wrap, salads. Open from 11 a.m. to 10 p.m. daily. Food served noon to 10 p.m.
Disney Food Blog Posts Mentioning Laguna Pool Bar nothing found.